Did Elvis Presley Have Siblings? Did Elvis Presley Have Brothers or Sisters? Not many people know that "The King" Elvis Presley had an identical twin brother. He died at birth. Elvis had no other biological siblings, but he did have three stepbrothers when his father remarried after Elvis' mother died. Elvis was born in a two-room house built by his father and uncle just before dawn on January 8, 1935, in Tupelo, Mississippi, to Gladys and Vernon Presley. His identical twin brother, Jesse Garon, who had been delivered first was stillborn. After the birth, Gladys was close to death and both her and Elvis were taken to Tupelo Hospital. After that, his parents never had any more children. The correct spelling of Elvis's middle name has long been debated. Elvis' state-issued birth certificate reads "Elvis Aron Presley." His middle name was chosen after the Presleys' friend and fellow congregation member, Aaron. But, in deference to his stillborn brother, a single-"a" spelling was probably intended by Presley's parents in order to parallel the middle name of Presley's stillborn brother, Jesse Garon. It reads "Aron" on most official documents produced during his lifetime, including his high school diploma, RCA record contract, and marriage license, and this was generally taken to be the proper spelling. Although, Elvis had expressed a desire to use "Aaron" from 1966 thereafter. His tombstone has the double-"a" spelling, reflecting his wishes. A year after Elvis's mother died, his father was remarried to a woman named Davada "Dee" Stanley in 1960. Dee had three sons from her first marriage, Bill, David, and Rick Stanley. That marriage ended in divorce in November 1977. Elvis was considerably older than the three Stanley boys and became something of a father-figure to his stepbrothers. In later years, Bill, David, and Rick Stanley became part of the "Memphis Mafia," acting as aides and confidants to Elvis. In 2016, David Stanley published a memoir, "My Brother Elvis: The Final Years" that describes his time growing up with Elvis in Graceland, serving as the singer's bodyguard, and goes into great detail into David's account of Elvis' drug usage and death. Other books published include "Elvis, We Love You Tender" and "The Elvis Encyclopedia." Another one of the stepbrothers, Rick Stanley, is a former drug addict and traveling evangelist minister. Bill Stanley, the eldest stepbrother, was working on a documentary about his time with Elvis called A Ride To Remember in 2010, but it appears to never have been released. It is also worth noting that a woman has come forward claiming to be the illegitimate child of Vernon Presley. This would make her Elvis' half-sister. While a number of people over the years have claimed to be related to Elvis in some fashion, few have come forward with any evidence. Eliza has had her DNA compared to one of Elvis' paternal cousins and the lab results indicated kinship. She further had her DNA compared to that of a man claiming to be Elvis, himself. Those results showed that she was that man's half-sister. A Cleveland news station did further testing which verified the original results. Eliza had been trying to pursue this issue in the courts. This case has now been dropped after evidence proved Eliza is not related to the Presleys. Earlier, the case was dismissed on jurisdictional grounds but Eliza was trying to find the funding to reopen the case in the correct court. It also appears that Eliza, under her original name, Alice Elizabeth McFarland, has quite a long criminal history. Her criminal records in Washington state and Texas can be searched online. Mississippi took a long time to recover from the Great Depression. Vernon was a laborer working odd jobs. The house they lived in had no electricity or indoor plumbing. Elvis' family life was turbulent during his early years, largely due to the poverty and financial circumstances of his parents. 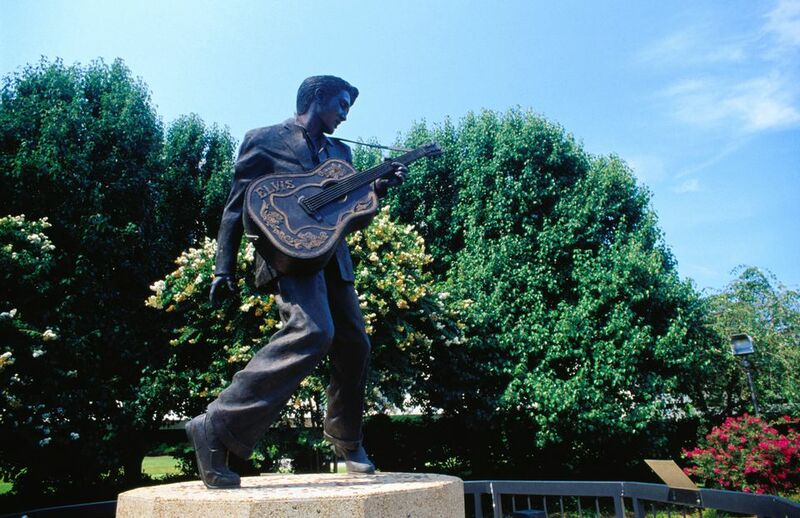 Elvis grew up in a close-knit, working-class family, consisting of his parents, grandparents, aunts, uncles, and cousins, who all live near one another in Tupelo. There was little money, but Vernon and Gladys did their best to provide for their son and made him the center of their lives. The Presleys went to church and loved singing gospel music together around the family piano. They were members of the Assembly of God Church. Elvis remained close with both of his parents that he brought them along for the ride when he became a superstar. Vernon and Gladys Presley moved in with Elvis when he purchased Graceland in 1957. Vernon managed his son's business affairs in an office behind the mansion.